MAYO-HEADQUARTERED SPORTS retail chain Elverys scored increasing profits last year despite facing what it described as “strong competition” from other big-name retailers. Newly filed accounts for the retailer’s parent company, Staunton Sports Ltd, show that the firm booked a €1.7 million profit for the financial year ended 31 December 2016, an increase of just over €635,000 on 2015′s figure. Elverys, Ireland’s oldest sports store chain, recorded sales of nearly €77 million for the year, up by about €2.3 million on the previous 12-month period. The company finished the year with accumulated losses of just over €2.4 million. The Mayo and Tipperary GAA sponsor went into examinership in February 2014. As previously explained by Fora, examinership is a last roll of the dice for firms in danger of going bust. The outfit was taken over in a management buyout after exiting the process. The management team fended off competition from a number of bidders including Sports Direct, the company owned by controversial UK billionaire Mike Ashley. Founded in 1847, Castelbar-based Elverys operated 59 stores nationwide last year. It employed an average of 631 people in 2016, including sales assistants, office staff and warehouse workers. Wages and salaries were worth about €19,170 per head, according to the latest accounts. In an accompanying note, directors Patrick Rowland and Jason Carey said the firm’s trading performance last year continued to “show signs of recovery, driven by the upturn within the Irish economy”. According to the directors’ report, the firm expects sales to “steadily increase” during the current financial year. Rowland and Carey identified uncertainty surrounding Brexit as one of Elverys’ main risks, along with potential changes to consumer spending. They also said the firm “faces strong competition in the market”. “However, the directors feel the steps that they have taken will ensure their market share will continue at or above existing levels,” the report said. The directors said they are “optimistic” about the future of the company because of an upward trend in consumer sentiment and “an improvement in the general economic climate in Ireland”. It also said it hopes to make the most out of the “growth potential of the digital economy” through its online store. “The directors will continue to develop the business in the ensuing year with continued refurbishment of store in Dublin and Limerick together with new stores opening in Waterford, Dublin and Kilkenny during 2017,” the report said. Email “Cúl, cúl, cúl! Mayo-based sports retailer Elverys has scored million-euro profits”. Feedback on “Cúl, cúl, cúl! 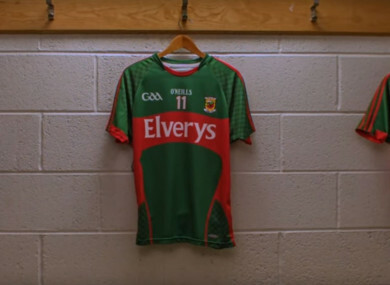 Mayo-based sports retailer Elverys has scored million-euro profits”.